Having a Google Adsense account is the most desirable dream of a Publisher,who wants to turns his words into money,who has the possible abilities to transform his blog/website into a machine which not only genrates traffic but also gives him relativity Good revenue.This is the reason why Google Adsense is the most used advertising program with allmost millions of publishers who allows Google to advertise on there website.If you want an easy way to earn money from your online content, AdSense makes sense. Google AdSense shows the right ads on your website, videos, or even web-based games and you make money. But due to the increase in miss use of Adsense,Google is now turning down almost all the new requests that it receive from a user who want to be the partner with Google Adsense.They have changed there policies and now these polices are even more strict.So what a new publisher will do who want get good revenue from his website as Adsense was the only one who allows small publisher to earn on large scale. You don't need to be worried by the end of this post I can guaranty you will be able to register your Adsence account successfully.As this is the genuine method to get your very own Adsence account. And now your Gmail Account is created now you can apply for Adsense if you have a website which has good traffic,if you don't have a website then you need to create a new website from which you can apply for a new Adsense account. When you started to receive the traffic at your blog then you must wait for the correct moment to monetize your blog with Adsense.You should only apply for Adsense if your blog reaches the following statistics. Your Google AdSense application has been fully approved. Within a few hours you’ll begin to see live ads. If you would like a detailed walkthrough of everything you need to know as a new AdSense publisher, visit the AdSense Academy: http://support.google.com/adsense/bin/static.py?page=checklist.cs&tab=1187443. If you wish to access your account, you can visit http://www.google.com/adsense and sign in using the email address and password you submitted with your application. If you've forgotten your password, visit: http://www.google.com/adsense/support/as/bin/static.py?page=ts.cs&ts=1054302&sct=app-api. * Please don't click on your ads, even to test them -- doing so isn't permitted by the AdSense program policies: https://www.google.com/adsense/policies. * Your new account will be closely monitored for compliance with our policies. If policy violations are detected, ad serving to your pages may be stopped or your account disabled. * You can add the AdSense code to a new page or site that complies with our program policies at any time. There's no need to inform us or apply for a new account when you do. 1. posting 4 to 5 unique posts per day. 2. Face-book and twitter marketing. If possible please provide your email to get in touch with you for future guidance and help. If you don't mind, kindly provide your Skype ID so that we can have some chat to get some queries solved. Looking forward to see your valuable and most needed response. Hope You Will Continue to Follow MBL. Thanks Brother Peace and Blessings. 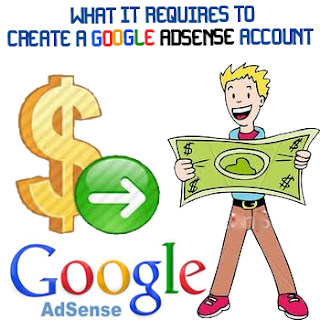 Awesome Post For Make Google Adsense ..
Well Dude!! No can really explain why Google Banned you only Google Knows the Answer. Brother Just Follow the Guideline Mentioned Above. Create Beautiful Content For Users not For Search Engines. and Wait You Will Receive Perfect Results. Peace and Blessings. i dont agree with step 4. No hurt feeling my friend, but 7000 unique visitors a month, you gotta be kidding. Last time i heard about wikipedia a few months ago, that site had only 400 unique visitors, so how come i'll reach 7000? That's kinda impossible.. If only 1500 pageviews, that's maybe nothing for website, and maybe i can reach next few months. Am I Speaking Spanish LOL (Jokes a Part) Yeah! The Threaded Commenting system is coming soon stay tuned. i recently get adsense account by blogger.com and now i want to show these adds on my wordpress website, so i create add unit and get adsense code and paste it on wordpress website but the problem is that the adds are not show. please provide me the solid reasons why the blogger adsense is not show on my wordpress website and how the adds show on my website. I am under eighteen so I was going to have my adsense account under my parents name. I cannot use my email address even though i am using my parents name for the application. So I went to make a new adsense account with my mothers email but It told me that to sign up for an adsense account on blogger I needed to do so from the blog. So I tried that and i wasn't able to sign up with anything but my blog email, or an account that is already made which i cannot do becasue i cannot make an account from anywhere but the blogger site. Is it even possible to get it working? How i can change payee name in google adsense? How i can create traffic in my blog? and what is google keyword tool? and how i can used it on my blog? You can Change Your Payee Name By Emailing Google. We have Written a Detail Article on it. Check it out. Well, First don't worry about the traffic. Just Write Quality Content and the traffic will come automatically. Don't think how much people you get, just appreciate your hard work. Sir I appreciate the inputs provided here,today i have applied for adsense account and it was declined.I am not worried about the declining of application,but google team did'nt provided any reason in specific for declining.If they have provided some info,it would have let me dig into the issue and fix it when reapplying another time. I started blogging recently, please look into my blog http://getlifetips.blogspot.com Please suggest me what improvements i can do to the blog to be able to monetize it.I appreciate your inputs. Thanks. i want to know, why my blog suddenly stopped showing google ads ? my site http://cworldpk.blogspot.com please check it and tell me what's the issue ?